I can't really complain of a laggard Spring as my daffodils have been blooming for a couple of weeks now. I'm more concerned about a premature Spring! 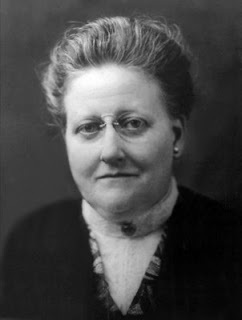 Anyway, this is Amy Lowell's (photo from here) poem, To an Early Daffodil. I was looking for a daffodil poem that wasn't Wordsworth & I do find daffs cheerful so this is quite appropriate. I just wish they weren't blossoming in what I still think is the middle of winter. It's so difficult to write about a book like Genji. I've been reading it over the last six weeks & it's been a wonderful experience. Written around 1000 at the Heian Court of Japan by an author whose name we don't know (Murasaki is the name of one of the main characters & may have become a nickname of the author), this is the earliest novel to be widely read today in competing translations that all have their admirers. The story is in two parts. 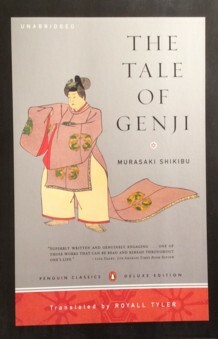 Two thirds of the book tell the story of Genji, the son of the Emperor by one of his Intimates. Genji's mother came from a nondescript family & her position at Court relied solely on the Emperor's love for her. He favoured Genji above his legitimately born son but politics would not allow him to make Genji his heir. Instead, after the early death of Genji's mother, the Emperor gave Genji the surname Minamoto which enables him, as a commoner, to have more freedom than a member of the Imperial family could have. Genji will be fabulously wealthy & also play an important role at Court, rising up the hierarchy to eventually be giving the honorary title of Retired Emperor. Genji is also devastatingly handsome, exuding a wonderful perfume, charming & skilled at the courtly arts of painting & poetry. As he grows up, his relationships with women will dominate the narrative. Whoever chanced to lay eyes on Genji was smitten by him. After one glimpse of the radiance that attended him, men of every degree (for the crudest woodcutter may yet aspire to pause in his labors beneath a blossoming tree) wished to offer him a beloved daughter, while the least menial with a sister he thought worthy entertained the ambition to place her in Genji's service. It was therefore all but impossible for a cultivated woman like Chūjō , one who had had occasion to receive poems from him and to bask in the warmth of his beauty, not to be drawn to him.She, too, must have regretted that he did not come more often. Genji's actions are not always noble or chivalrous but they reflect the dominant role of men in Japanese society. He marries a well-connected young woman, Aoi, a few years older than himself. The marriage is not particularly successful, Aoi resents the match to a younger, illegitimate son of the Emperor, but they have a son, Yūgiri, before Aoi dies. Genji, meanwhile, has fallen in love with his father's young wife, Fujitsubo, & their affair results in the birth of a son who will eventually succeed to the throne, his origins kept secret. When Genji is just a young man, he spends an evening with his friends as they discuss the different kinds of women & the different kinds of love. In some ways, he spends the rest of the novel investigating these kinds of love. Eventually he will build a palace, his Rokujō estate, where he will install a lover in each of the four wings. Genji's most important & lasting relationship will be with Murasaki, Fujitsubo's niece, who he meets when she is a child of twelve. He takes her into his house & brings her up, eventually seducing her. She becomes the mistress of the east wing at Rokujō and, although they have no children together, Murasaki brings up several other children, & their relationship is close & loving. After his father's death, Genji is sent into exile as a result of the machinations of the new Emperor's mother. During this period of exile, he meets another of his loves, known as the lady from Akashi. She has a daughter & Genji brings them both to live at Rokujō when he returns in triumph. Genji agrees to marry the favourite daughter of his half-brother the Emperor who wishes to retire from the world. This is a mistake as the girl is a very ordinary young woman with no talents to attract Genji. He feels obliged to go through with the marriage & is horrified when she is seduced by another man. The boy, Kaoru, is assumed to be Genji's child & his mother is installed in yet another wing of Rokujō. At the same time, Murasaki's health is failing & Genji spends all his time with her. Her death devastates him & although he often declares that he wishes to leave the world & become a monk, he doesn't do this but dies soon after. The last third of the novel takes place some years later & introduces a younger generation. Kaoru & his friend, Genji's grandson, Niou. These chapters are much more of a piece, telling one tragic story. The two young men become rivals for the attentions of the daughters of a Prince who has retired from the world to live at Uji. The elder daughter, Ōigimi, is courted by Kaoru but he is also attracted to her sister, Naka no Kimi, who is eventually seduced by Niou. Niou installs Naka no Kimi in his palace where she is made unhappy by his philandering. Meanwhile, Kaoru, a serious young man, hesitates to pursue his suit & Ōigimi, distressed by her father's death & her sister's fate, starves herself to death. Kaoru is grief stricken but is intrigued when a young woman appears who is the unrecognised illegitimate daughter of the Uji Prince. This young woman, Ukifune's, story is the most tragic of all as she is pursued by both Kaoru & Niou. This is a very basic description of the plot which ranges far & wide over the 1100 pages of the book. The style of the narrative is allusive, with most characters referred to by their titles which keep changing. I found it confusing but decided to just keep reading & hope that I would remember who was who. I found that if I didn't read it for a few days (usually because I was at work & couldn't carry the book around with me), it took me a while to get back into the story again. There are hundreds of characters &, as well as the tragedy, many very funny scenes. The narrator also looks at Genji's behaviour, especially his ready recourse to tears, with a satirical eye & by no means approves of his seductions & the pain he causes Murasaki. Many ladies lived this way under his protection.He looked in on them all, fondly assuring each that despite his long silence he was always thinking of her. "My only care is the parting that no one evades. 'I know not what life remains...'" he would say, and so on. He loved them all, each according to her station. At his rank he might deservedly have swelled with pride, and yet he seldom advertised himself, treating all instead with tact and kindness as place or degree required, so that just this much from him sustained many through the years. The setting of the story, in Imperial Japan, is so different from anything I've ever read before, that I felt I was learning about the culture as well as reading an involving story. Everything about the period & the country was strange to me. The houses, the rituals, the pastimes. The courtly emphasis on poetry was fascinating. There are over 700 short poems in the text which illuminate behaviour & feelings. They also illuminate character as the ability to compose a suitable poem at any moment is a prized accomplishment. The detailed descriptions of clothes, furnishings, entertainments create this world that is involving yet so removed from the world outside the Court & the privileged classes. There's little mention of politics or war; the pursuit of happiness & the entanglements of his relationships are all that matter to Genji & his circle. He sat near her as usual, and the wind blew the curtains about so much that her sister retired farther back into the room. When the disreputable-looking creatures went to hide from him in embarrassment, he moved closer still. "How do you feel?" he asked through his tears. "I have prayed for you in every way I know, but none of it has done any good, and you will not even let me hear your voice. It is so painful! I shall never forgive you for leaving me this way." I loved this final section of the book. At around 300pp it's the length of a novel on its own & the narrative is more coherent with just one storyline. It's full of interest & tragedy from the fate of the Uji sisters to the contrast between Kaoru & Niou. Religion is also an important factor. Characters often long to leave the world & enter the religious life & many do so. The supernatural in the form of evil spirits & possession is ever-present & there are several exorcisms where the evil spirits speak to the monks who are trying to remove them. I also loved the descriptions of the countryside & the weather. The details of dress, the correct colours to wear for mourning or at different times of the year, were all fascinating. The book creates a complete world that it was a real delight to disappear into for hours at a time. I read the Penguin Deluxe edition translated by Royall Tyler & the notes & line drawings were a real help in visualising Genji's world & understanding the allusions in the text. I can definitely imagine rereading Genji & next time I'll try a different translation. My only problem now is what to read next! I often feel this way after reading a long book that was as absorbing as this one. I'm still listening to The Romanovs & reading Leon Roch with the 19th century group but I need something else. I've been picking books up & putting them down for a few days now but nothing has really grabbed me. Maybe some short stories? Something completely different is called for although that won't be difficult as there's nothing else quite like The Tale of Genji. The UK seems to be experiencing a hot summer this year & many people are enjoying the heat. It's the middle of winter here & I'm loving the cold & the rain but, each to their own! 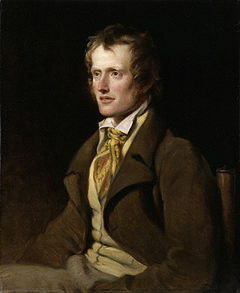 I thought I would celebrate the warmth of summer for those of you in the North with this poem, Summer Tints, by John Clare. And stood delighted musing o'er the scene. For those of us in the South or for anyone not enjoying the hot weather, here's Emmonsail's Heath in Winter. More bits & bobs of news about reprints & books in general. Scott has announced the third author to be reprinted later this year with his new imprint, Furrowed Middlebrow Books, & I'm very excited. Frances Faviell's A Chelsea Concerto is Scott's favourite WWII memoir & I've wanted to read it for ages. It's mentioned or quoted in many books about the Home Front & I love a Home Front memoir so this will be a real treat, especially with an Introduction by Virginia Nicholson, author of Millions Like Us. Scott will also be reprinting Faviell's other memoir about life in Berlin after the War, The Dancing Bear, as well as her three novels. It's sad that a reappraisal of an author's work often has to wait until after their death. Anita Brookner has always been appreciated by a discerning audience (I have a friend who has read them all) but her reputation had declined a little. I think only her most famous novel, the Booker Prize winning Hotel du Lac, was in print when she died in March. Penguin had announced plans to reprint all her books & have now brought the program forward so all her books will be back in print in the UK by the end of the year. The covers are just gorgeous, so elegant, very Anita Brookner, I think. 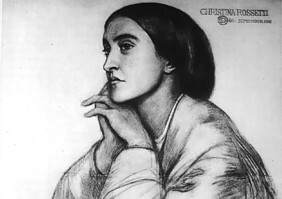 Here is a lovely tribute to Brookner by Julian Barnes & if you'd like to know which Brookner to read first, Thomas at Hogglestock, currently rereading all her novels, will guide you. 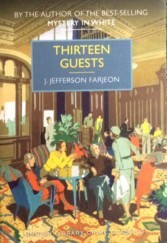 Fans of the British Library reprints of the novels of J Jefferson Farjeon will be pleased to hear that Harper Collins are planning to reprint his Ben the Tramp novels later this year. I think it's encouraging that other publishers are jumping on the Golden Age bandwagon & resurrecting more writers of that era. In October, Random House are publishing Georgette Heyer's short stories in Snowdrift and other stories. This is a reprint of the collection Pistols for Two with the addition of three newly discovered stories. As I haven't read any of Heyer's short stories, I'm looking forward to this. 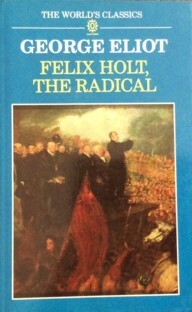 Finally, Kathryn Hughes has inspired me to think that George Eliot's novel, Felix Holt, might be a fascinating read after all! I love Eliot & Middlemarch is one of my favourite books but Felix & Romola have never appealed to me very much. I have this ancient copy on the tbr shelves so I may read it this year to celebrate the 150th anniversary of its publication. 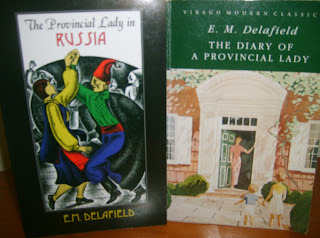 I'm listening to Simon Sebag Montefiore's new book The Romanovs (read by Simon Russell Beale) & two books I ordered by sea mail from Canada arrived last week so I'm in the mood for Russian poetry this week. I took the chance of a sale at Royal Russia to pick up copies of two memoirs I've always wanted to read, The Real Romanovs by Gleb Botkin, son of the last Tsar's doctor who was murdered with the family at Ekaterinburg & The Life and Tragedy of Alexandra Feodorovna by Baroness Sophie Buxhoeveden, the Tsarina's lady-in-waiting. Interestingly Botkin believed the claims of Anna Anderson that she was the Grand Duchess Anastasia so I'll be fascinated to read what he has to say. 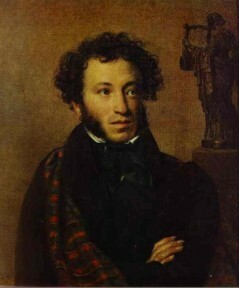 Pushkin's (photo from here) grandfather was Hannibal, an African at the Court of Peter the Great, so having read about the grandfather in The Romanovs, I've chosen one of the grandson's poems. 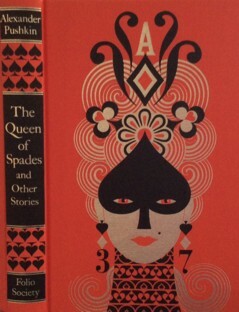 I have this lovely Folio Society edition of Pushkin's stories & I must get around to reading it soon. This lovely poem is To Natasha. And the heavens have grown dark. Where are you, my light, Natasha? No one's seen you, - I lament. Of this moment with a friend? We have not yet had a date. Fields will freeze with frost, so bitter. Soon enough, will shine and glitter. It can be difficult to write about short stories. It's not easy to discuss plot without giving too much information. In this case, however, it's easier because Rosy Thornton's impressive new volume of stories, Sandlands, share many common elements. Place is the most obvious as all the stories are set in the Suffolk fenlands & often share the same locations - the Ship Inn, Willett's Farm, a WWII airfield now turned into a museum, the village of Blaxhall. There are also common themes - nature, remembrance, the past reaching into the present. I enjoyed the literary echoes too, of Dorothy L Sayers' The Nine Tailors in Ringing Night, a story featuring bell ringers & of Edward Thomas's poem As the Team's Head Brass in Stone the Crows, where a WWII Spitfire pilot looks back on his war service from his nursing home to a scene that became as familiar during WWII as it had been thirty years before. Nothing in that evening landscape moved to give it life and substance - until suddenly, beyond my left wingtip, a miniature figure swung into view, straddling the midline of a field where it changed from the dull grey-brown of stubble, to a deeper richer russet, ridged in black. At first I had no sense that the figure was in motion, so slowly did it creep along the line of the last furrow, edging forward no faster than a sluggish beetle, dazed by the sun. I took another turn, dropping my height a little, to gaze down until I could make out the broad backs of a pair of chestnut horses, the glinting Y-shape of the plough and, behind it, just visible, the dot of a man's head. Sometimes the literary inspiration is more overt as in A Curiosity of Warnings, when a man follows in the footsteps of the protagonist of one of M R James' ghost stories with unintended consequences. Other stories with supernatural touches include The Witch Bottle, where Kathy's new home holds the memory of a long-ago tragedy that threatens the present; The White Doe, where Fran experiences the mythical or mystical visitations of the doe while coming to terms with the death of her mother & The Watcher of Souls, where a barn owl's nest hides a cache of love letters from long ago. One of my favourite stories was Whispers. Dr Theodore Whybrow has been working on the definitive biography of Regency poet Wiliam Colstone for years. He's almost paralysed by the pressure that comes with writing a book so long-awaited. On impulse, he buys a Martello tower on the coast, a remnant of the Napoleonic Wars that he knew as a boy, & as he spends more time there, he feels the closeness of the past & the inspiration that he needs. It had been a calm night outside, overcast and starless, the sea as close to a millpond as he had known it. But the tower was never silent. Even on the most breathlessly still of nights, there were whisperings in the bricks. He sometimes wondered if it was really the sea - some subterranean echo or vibration, rippling up through the walls from the shingle on which they stood. Or perhaps an illusion, a trick of the mind, like the echo of the waves heard in a seashell. Yet, for all that, there was a paradoxical realness and solidity about the voices here, an immediacy - yes, that was the word for it: immediate, unmediated - which recalled with a sudden sharp pang the early days of his scholarship, that quickening of the blood he had thought to have lost. A connection thought severed, rejoined. Many of the stories are about the links between generations, of the same family or of the people who have lived in a house or a place. In All the Flowers Gone, three generations of women are connected to an airfield. Lilian works at the airfield during WWII & falls in love with a pilot. Her daughter, Rosa, protests against nuclear weapons at the base in the 1980s. Rosa's daughter, Poppy, is a botanist, searching for a rare flower that has been sighted near the old runway. I loved the way that the women were linked not only by blood but by cycling with its connotations of freedom & the way that the place played a significant role in the lives of Lilian, Rosa & Poppy. It was a perfect morning for cycling. The temperature must have fallen during a clear night and a dawn mist had formed over the fields.As Poppy bowled along Tunstall Lane it rose in layers, which seemed to lift and peel away without losing any of their density, and hung just clear of the barley so that sunlight filtered through underneath, tingeing them from below with watery gold. Once through Tunstall village and out on the road that stretched straight ahead into Rendlesham Forest, she rose on her pedals in her battered trainers, pushing down harder with each stroke, enjoying the stretch in her calves and the rush of cool air in her lungs, until the dark trees on either side were no more than a blur. In Nightingale's Return, the son of an Italian POW travels back to the farm where his father worked during the War & we travel back to Salvatore's time at Nightingale Farm while his son makes the journey in the present day. I loved the humour in many of the stories. I think my favourite story was The Interregnum. The rector of St Peter's Blaxhall goes on maternity leave & her replacement is Ivy Paskall. Ivy is a lay reader studying for the ministry rather than a member of the clergy but secretary of the PCC, Dorothy Brundish, is sure that the parish will manage. That is until Ivy's plans for bonfires at Epiphany & a women's feast at Candlemas, the Christian equivalent of Imbolc, begin to cause some uneasiness. Ivy's explanations seem very reasonable but are her ideas maybe a little pagan for the congregation of St Peter's? In High House, a woman cleans for Mr Napish, a retired engineer whose obsession with theories about tides & flooding feed into his unusual hobby. I enjoyed this collection of stories very much. The book is beautifully produced by Sandstone Press & the cover image is incredibly striking, evoking the themes of nature & unease in the stories. I've read all Rosy's novels & reviewed several of them here (see Ninepins, The Tapestry of Love, More than Love Letters). Rosy was the first author to contact me back in 2010 when I started blogging & ask if I would like to review her book which was such a thrill. Luckily I've enjoyed her books so reading them has been a much-anticipated treat. 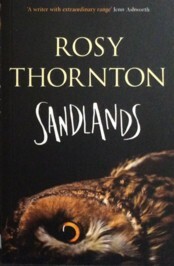 Rosy Thornton kindly sent me a review copy of Sandlands. Salem Chapel (photo from here) is a very odd book that begins in Barsetshire & ends up reading like a sensation novel by Wilkie Collins. It's one of the Chronicles of Carlingford, the most popular series of novels written by Margaret Oliphant, a productive & popular 19th century novelist. Arthur Vincent is a young Dissenting minister, appointed to his first post to Salem Chapel in Carlingford. The Dissenters of Carlingford are mostly tradesmen, very proud of their ability to build a new red brick chapel for their congregation & determined to get their money's worth from the young preacher they've appointed. They are also proud to be distinguished from the Church-going folk on the other side of Grange Lane, in thrall, as they see it, to the Establishment. As he walked about Carlingford making acquaintance with the place, it occurred to the young man, with a thrill of not ungenerous ambition, that the time might shortly come when Salem Chapel would be all too insignificant for the Nonconformists of this hitherto torpid place. He pictured to himself how, by-and-by, those jealous doors in Grange Lane would fly open at his touch, and how the dormant minds within would awake under his influence. It was a blissful dream to the young pastor. "Mr Vincent, sir," said Tozer solemnly, pushing away his empty teacup, and leaning forward over the table on his folded arms, "them ain't the sentiments for a pastor in our connection. That's a style of thing that may do among fine folks, or in the church where there's no freedom; but them as chooses their own pastor, and pays their own pastor, and don't spare no pains to make him comfortable, has a right to expect different.Them ain't the sentiments, sir, for Salem folks. ... and this I know, that a minister as has to please his flock, has got to please his flock whatever happens, and neither me nor no other man can make it different; and that Mrs Vincent, as has seen life, can tell you as well as I can." All this is very much what I expected from a Carlingford novel. The tone changes when Vincent meets Mrs Hilyard, a mysterious woman living in poverty & sewing for a living. Mrs Hilyard attends the Chapel although she's obviously of a higher social class than most Dissenters. She also receives visits from the beautiful young Dowager, Lady Western, & seems to be on terms of affectionate friendship with her. Vincent is puzzled by Mrs Hilyard & curious to know her story. He's also dazzled by Lady Western & dismays the Chapel goers by accepting an invitation to dinner & appearing to court her notice. Vincent receives letters from his mother in the country telling him about his sister, Susan's, suitor, a man called Fordham. This is the beginning of the sensation plot which involves impersonation, abduction, attempted bigamy & accusations of murder. Vincent overhears Mrs Hilyard arguing with a man, Colonel Mildmay, about a child that she is desperate to keep from him. When Vincent lets her know that he has heard her conversation, Mrs Hilyard asks that the child, her daughter, be sent to Vincent's mother for safekeeping, little realising that this action will put the girl in danger. The disappearance of Susan Vincent, in company with Mrs Hilyard's daughter, Alice, & Susan's suitor, sparks a chase from one end of England to the other & Vincent's position at Salem Chapel is put at risk by his unconventional behaviour. I have to say that, much as I enjoyed the book, the two halves really don't mix very well. I wondered whether Mrs Oliphant felt obliged to add the sensational elements because of the success of novels like The Woman in White (Salem Chapel was published in 1863). It was certainly so successful that she was able to ask for a substantial price for her next book. Even for a sensation novel, there are just a few too many coincidences in the plot for me. Arthur Vincent is also a very unsympathetic character. Superior, impatient, ungracious, he ignores the proprieties & the obligations of his position. He becomes obsessed with his pursuit of Lady Western & jealous of those he perceives as his rivals. Even when he becomes a successful preacher, he finds it distasteful that the deacons rate his success based on the number of people who hear him preach & continually remind him that as they have appointed him, they can remove him at any time if he doesn't give satisfaction. He's the son of a minister & must have known that his flock was going to consist of tradespeople so why is he so snobbish about their houses & their daughters & their aspirations? Salem itself, and the new pulpit, which had a short time ago represented to poor Vincent that tribune from which he was to influence the world, that point of vantage which was all a true man needed for the making of his career, dwindled into a miserable scene of trade before his disenchanted eyes - a preaching shop, where his success was to be measured by the seat-letting, and his soul decanted out into periodical issue under the seal of Tozer & Co. Such, alas! were the indignant thoughts with which, the old Adam rising bitter and strong within him, the young Nonconformist hastened home. Arthur's mother is another character I could have seen much less of. From the moment when she arrives in Carlingford after Arthur has alarmed her with her doubts about Susan's suitor, she never stops talking & wailing & worrying about the proprieties. I know that a young girl's reputation was a fragile thing but she does lament too much over Susan's "fall" even before she knows what has happened. Almost driven to distraction by the shocking thought that her daughter has deliberately run away with a man, her fears for Arthur's reputation with his flock almost outweigh her fears for Susan's welfare. My favourite character was Mr Tozer, who champions Arthur's cause even when he ignores his very good advice & causes offence wherever he goes. Tozer is proud of the success of Arthur's preaching & not averse to scoring over his fellow deacon, Mr Pigeon, but he does stick by Arthur even when he goes off on wild goose chases on a Sunday & neglects the social side of his job. There's also plenty of humour & satire in the portrayal of the families of the Chapel which was just wonderful. I can't help thinking that it would have been a more successful novel if the sensation subplots had been left out. The sensation plot winds up very quietly after the amount of lamentation about Susan's reputation, whereabouts & lingering fate that has gone on. Arthur realises that he has to make some fundamental changes to his own life before he can be truly happy &, even then, he manages to go against the advice of everyone who cares for him, contrary to the last. 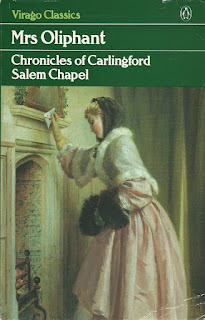 There is a copy of the Virago edition of Salem Chapel available at Anglophile Books. 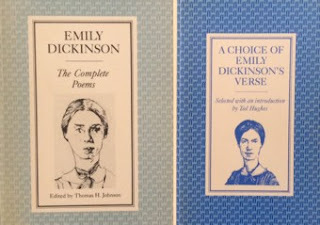 The website Interesting Literature featured their list of ten of the best poems by Emily Dickinson. I'd agree with all of them, although choosing only ten is very difficult. My own favourite isn't there. It's no 1142 in The Complete Poems, The Props assist the House. I think I've posted that poem before so I've chosen one of Interesting Literature's list. I remember hearing Jane Alexander read this poem in a documentary about Dickinson many years ago & I've never forgotten it.